The lion dance, also called the 'lion lantern', is a form of traditional dance performed on joyous festivals and big occasions, such as the Spring Festival (Chinese New Year). It is a dance which imitates a lion's various movements and actions, performed in a lion costume, accompanied by the music of beating drums and gong instruments. It is believed that the lion is an auspicious animal that brings good luck. 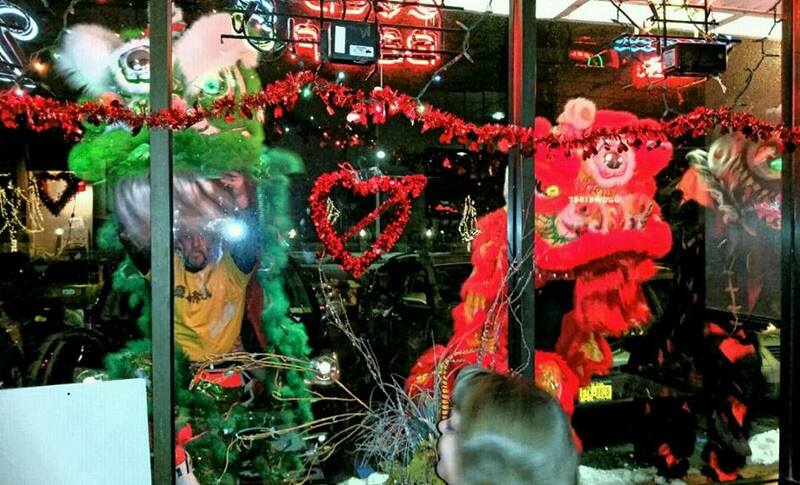 Therefore, a lion dance is performed to pray for good luck during the Spring Festival or during other celebrations. The lion dance is an excellent Chinese folk art that has spread across the world. The parading Lions run along the streets to bring goodwill and luck to everyone they meet. They visit stores, restaurants and businesses. 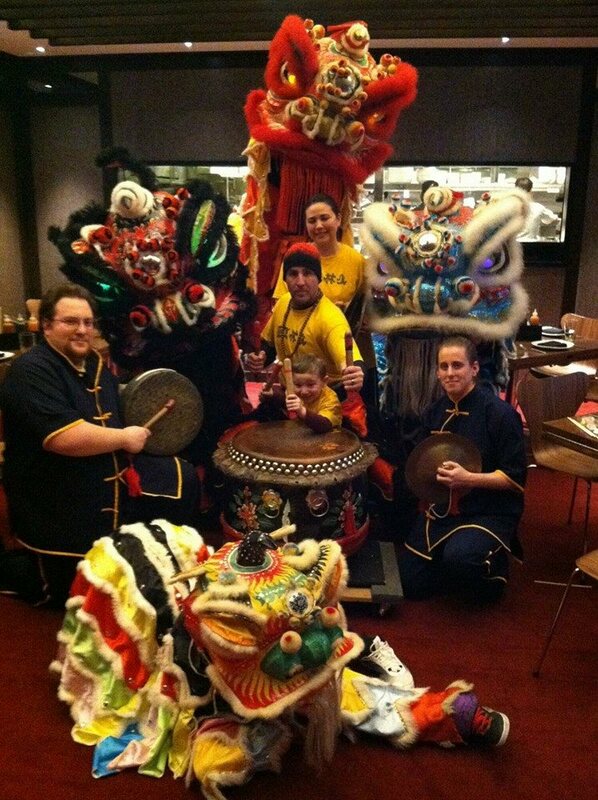 The Chinese lion dance has close relations to Kung Fu and the dancers are usually martial art members of the school. They practice in the school and train hard to master the skill as one of the disciplines of the martial art. In general, it is seen that if a school has a capable troupe with many 'lions', it demonstrates the success of the school. Start here for more info and get WEB SPECIALS!! Thank you! for inquiring about our school we will send you schedules and specials very shortly. Looking forward to seeing you at our school, to begin your journery. "Let us help you celebrate your joyous occasions, we are here to make those special moments more meaningful"
"Learn about 400 exculsive wellness products!!"